What do you do if you don’t work for valve but you really want to make an update for your favourite First Person Shooter? Some write emails, many grumble over the unfairness of it all but a select few plough on ahead and make their own fake update anyway. So it was with Robotic Boogaloo. Hats were made to a metallic theme, given quirky names and fun little descriptions. An SFM video was made, a site, a comic then just before due date for release *pop* it ceased to be and all around wondered what happened. By now you know the truth Valve has made it real. We talk with the community team behind the idea and discover how the fake became TF2’s very first entirely fan made update. To accompany this audio interview we’ve asked a few questions of Valve’s Andrew Wilson. 1) Valve have used content produced by community groups before such as the polycount pack but this is first time you’ve taken an unsolicited community project in its entirety. 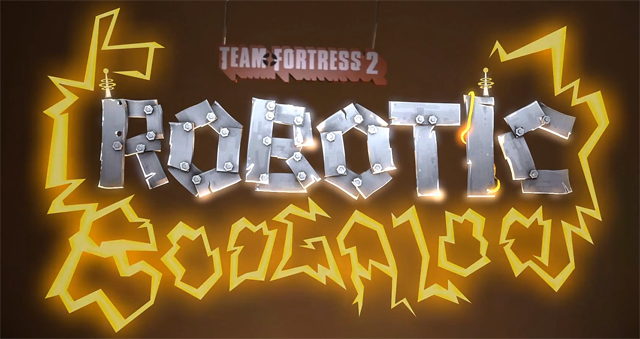 What made you choose the Robotic Boogaloo to release over things such as Night of the Living Update? Robotic Boogaloo had a really nice comprehensive package. LOOK AT IT. I’ll wait, here. Even before it became what it is now, the fledgling content showed much polish paired with some really well thought out decisions. Concepts like Night of the Living Update have done a great job of showing us and the rest of the Team Fortress community what is possible in a theme. I don’t imagine that RB would have come without Night of the Living Update. Some of the design restrictions in Robotic Boogaloo helped this be a palatable first choice for us to promote the RB Team’s work. The stuff that the community is doing keeps getting better. At this point, it’s impossible to ignore, and so we’re not. 2) The community produced more items for RB than actually made it into this update. What was your selection process? What factors meant some items were accepted and others rejected? Since the robo-hats are based on other items, we wanted to make sure that didn’t destroy the value in some of the rare and mysterious items that already existed in the game in a limited form from promotions, events, etc. Other designs were based on game play expectations, implementation, or craftsmanship. Some of the hats had multiple submitted versions and in those cases we judged them against each other and the better-looking item was selected. Several of us got together and reviewed items based on those concepts, and the final list is the result of that. 3) The accompanying comic was created by Heartsman. Should Valve release another bound edition of the games’ comics such as “VALVE PRESENTS: THE SACRIFICE AND OTHER STEAM-POWERED STORIES” will his work feature in this too? On a further note, can President Kisses Von Butternubs now be considered to be canon? 4) RB sees the largest number of cosmetic items added in a single update. Will Valve be focusing on huge updates of this nature in the future or was this a one off? Are we going to see more old hats discontinued to make way for these new items? This is a new concept. Our players might love it. We think they will appreciate it, but that’s to be seen. We’d like to see the response. The import tool we used to help the RB come to fruition is designed to make updates like this more possible, and we hope to nurture even more events like this, should it bring widespread joy to TF. Broadly speaking, we would like to release more content faster, and the RB update has helped us consider just what it takes to do it right. 5) The Team Fortress cabal at Valve has seen a fair turn over its lead players over the years. Is this move into further embracing community content something that’s come from its new members, or is this just an extension of previous policies? Every time we get you guys (caring fans) involved in working with us, the result has been positive. Many of the members who helped create TF are still heavily involved. This update is a logical extension of things we’ve been doing — we have the best fans and we like them to get directly involved and whenever we can, and we’d like them to be rewarded for their work. 6) TF2 is starting to show its age when compared to more recent Valve titles. Dota2’s system is apparently a lot easier for computers to handle because it compiles all the models and textures for the hero and its items together as such there are less ‘draw calls’. 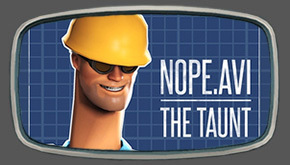 Now that steampipe is in place, does this open TF2 up for some more dramatic changes? TF2 has helped engineer systems like the ones Dota2 is using. We’re glad we had the opportunity to figure out how to improve cosmetics and packing them in to characters. TF is constantly trying out new ways to outfit characters and evolving the software, but steampipe doesn’t have anything to do with the runtime performance of the game. Because TF2 is around six years old, there are more limitations on what we can do, but these haven’t stopped us nor our fans from coming up with really novel and interesting ideas. The team here is constantly innovating and that experience improves future products. Valve gets a chance to see what customers want in their multiplayer games. Games like Dota 2 will only be better for some of the limitations we’re learning about through TF2. Valve loves when our customers benefit from and enrich the games that they play. We developed the Steam Workshop to promote this as a Steam-level concept, not something specific to Valve-made games. Many of us got into making games by modding products, but now we are making it easier for the next generation to do it and get paid doing it. 7) Do you think the RB update will have any effect on the what has become known as the artstyle of TF2? Are you expecting to see an influx of ‘robotized’ weapons in the steam workshop as result of this update? I do believe there will be more robotized pieces of gear, but I’m looking more forward to seeing what else the community will do. The guys and girls on the team are constantly passing around great fan-made things. Prop replicas, hand knit dolls, artwork, movies, lego sculptures, paper craft – I expect and hope to see more complete ideas. Maybe it’s not enough to just pitch a new item – build a reason for people to understand why it exists – weave it into fiction or contextualize it. If the only thing we saw from this update was an increase in the production of robotic wearables, I would be disappointed. This update should empower players to go bigger with their ideas in a more complete way than just modeling and texturing. Again, the production value on what the RB team did is incredible. I would love for another team of artists, animators, and designers to come in and challenge that. Or perhaps it will come to be that some robots will come up with the next hot update. I wouldn’t mind. 8) There have been screen shots released of development versions of TF2 that seemed to suggest the possibility of equipping more misc items at once. Is this something item creators should be aware of; to shift their focus from hats to belt accessories? What? TF2 fail to keep all of its contents secret? That’s unpossible. 9) RB is being released alongside a revamped workshop submission tool. Was the timing deliberate, “Look what these guys have made! Here’s a new tool to help you do the same.” Or was it a happy coincidence? The import tool is a really important tool for the future of shipping user generated content. Previously we could see something in the Workshop, see that everybody loves it, and download it – only to find out that the item was absolutely insane. Poly counts could be through the roof, LODs were really weird, or the item was as expensive to render as the characters. The Workshop is the wild west and the importer is a sheriff. We’ve designed the importer with technical limits so that we will know that an item coming from the import tool must be of reasonable budget. Should we fill the game with items built under those restrictions – performance will hold up. With these technical restrictions in place, we’ve also done a bunch of work behind the scenes to make getting content into the game much more efficient for members on the team. Together, these changes mean that we can ship more content more quickly, and with fewer concerns about performance, etc. Once we saw what was being done with the update, we decided to get the tool to the RB team. It’s given us a good sample size of external perspective and testing. Their team has had to retrofit some of their art and were subject to re-exporting a few times. We thank them for that and hope that it has been worth their trouble. Our intention is to keep working on the tool and improve it – to make it easier or change constraints if things go one way or another. Much like TF, we expect it will evolve with the will of the community. 10) There’s rumor of a taunt submission process tool coming out in the near future as well. Have community contributors been trying to make taunts for you, or is this a reaction to fan requests for more variety in the characters animations? Taunts are awesome! We would like more of them, but there are animation-specific issues that we haven’t solved yet. There are more things that can go wrong with them and the quality level for taunts is much harder to hit. We haven’t seen enough submissions or desire to make this worthwhile. 11) Some of the crates contain hats with new unusual effects. Will these effects be available on previous and future hats, or are they limited to the RB release hats only? Are community made unusual effects now going to be considered from the workshop? The RoboCrate unusual effects will have a chance to end up on previous and future hats, but only on unusuals from this crate. We’d like these effects to be special and landmark the Robotic Boogaloo. We are really interested in seeing that the community response to the RB effects are beloved before committing to a whole new system. 12) Are you hoping that the community will both come up with and action ideas into final products like this again? What would you look for in a project of this kind? Likewise, what would be the deal breakers? Yes, we absolutely want to see more fully fleshed-out concepts turned into something concrete. Our hope is that the community will look at this as an example of success but won’t stop there. TF is a much stronger game now than it’s ever been, thanks largely to the incredible community it has, players and content creators. We’re constantly impressed by the creativity and capability of the community, and so we’re hesitant to provide a specific direction. Instead, we’d encourage the community to do what inspires them. Enjoy this update then show us what you want to do next. 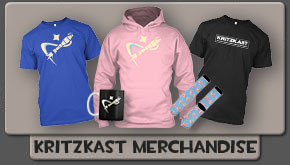 KritzKast wishes to thank both the Robotic Boogaloo team and Andrew Wilson for sparing us their time. The Source Filmmaker image for this post was created by Patrick Jr.